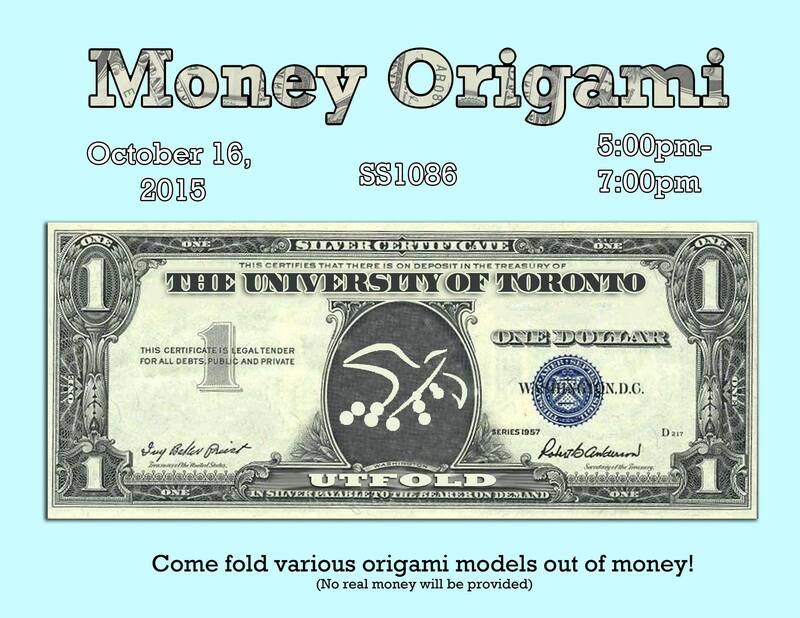 Take a break from studying and come join us this Friday for our money origami workshop! Try out folding these unique origami models! Hope to see you there!